It's not just President Trump who's at war with the news media. It turns out many Minnesotans share his views. 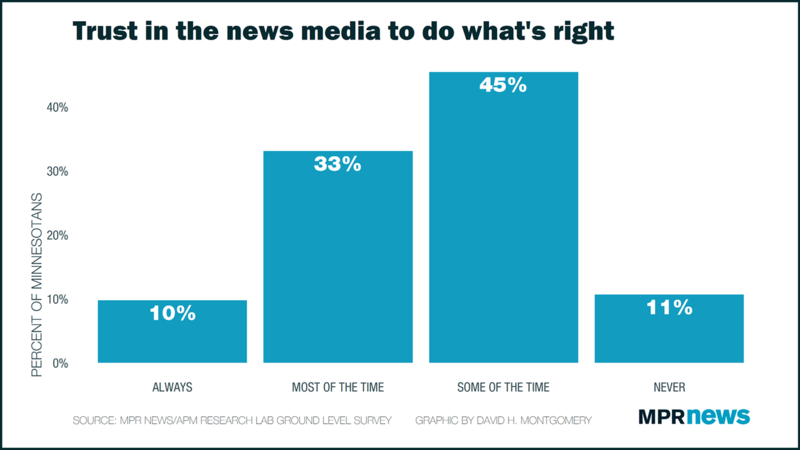 Only 43 percent of Minnesotans trust the media to do what's right all or most of the time. That's a key finding from a new report by MPR News and its sister organization APM Research Lab, which surveyed 1,654 Minnesota residents in late August and early September. Across the state, the responses revealed deep skepticism of mainstream news reporting. That's especially true in northern Minnesota, where fewer than one in three people surveyed outside of Duluth said they trust the media. Trust is lowest of all among the state's Republicans. 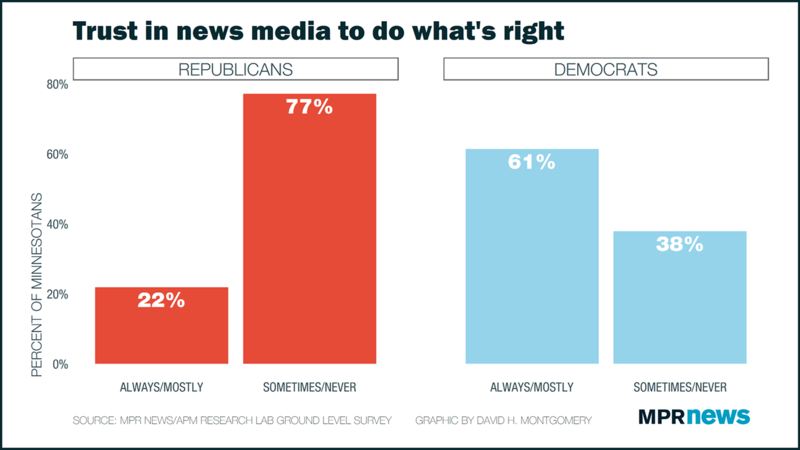 Only 22 percent said they trusted the media to do what was right all or most of the time, compared to 61 percent of Democrats, and 41 percent of independents. The findings parallel national polls showing confidence in the media eroding the past 15 years. A 2016 Gallup poll, for instance found less than a third of Americans believed in the media's ability to report fairly and accurately, a historic low point, down 8 percentage points from 2015 and more than 20 points from 2001. 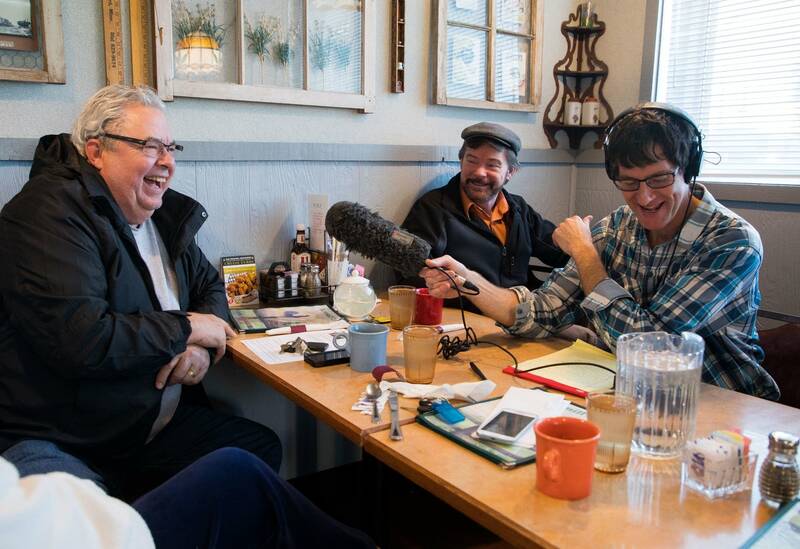 In conversations, Minnesotans who share those views believe their points of view get short shrift in traditional news reporting. Many are gravitating toward news sources that align with their politics. 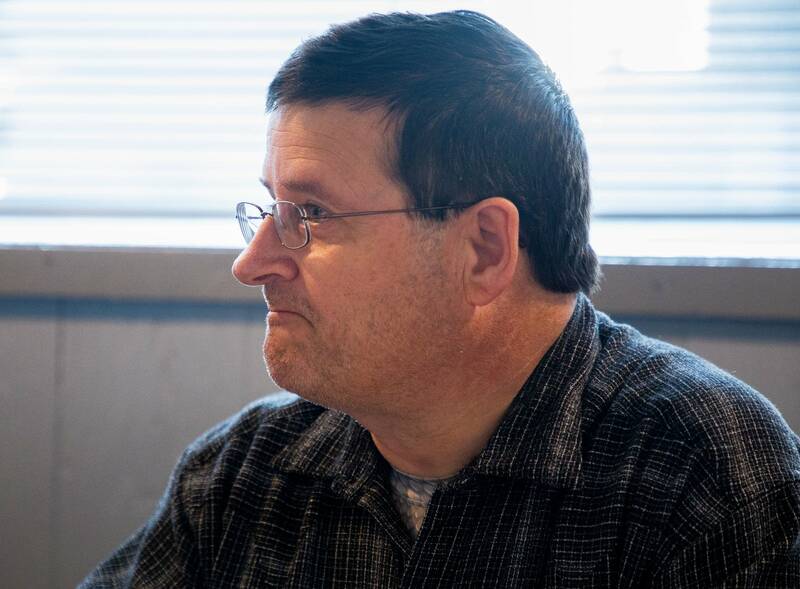 "I don't trust hardly anything that I hear, no matter which side they say they're on," said Forest Hyatt, chair of the Crow Wing County Republican Party. 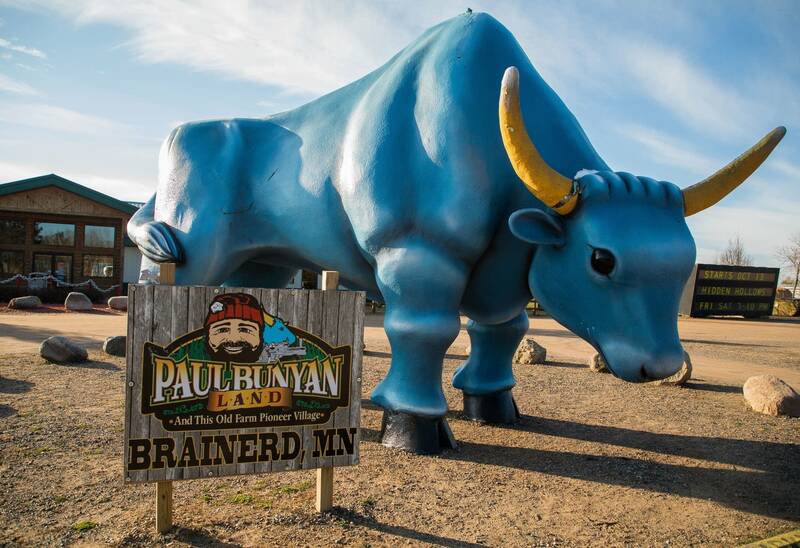 Crow Wing County and the Brainerd lakes region is Trump country. Last November, 62 percent of voters there backed Trump for president, more than double the support for Democratic candidate Hillary Clinton. 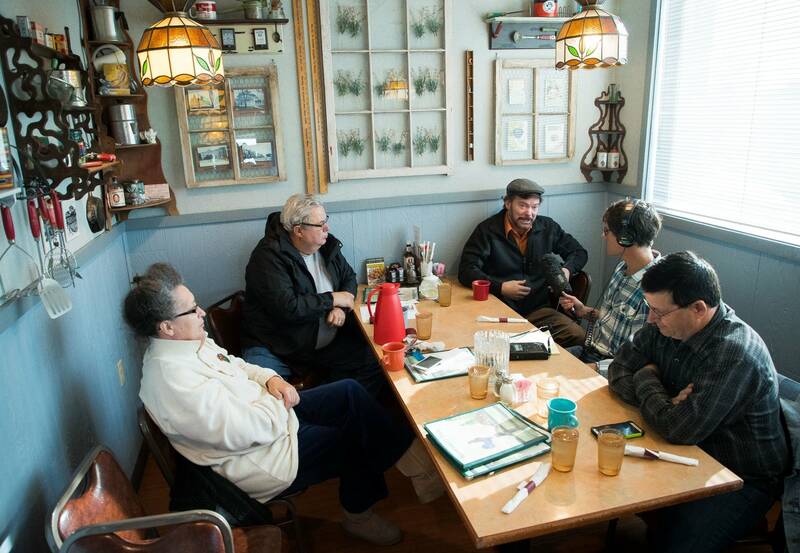 Over coffee and tea at a Brainerd restaurant, Hyatt and three other party activists explained why they hold such deep distrust for the media. "My opinion of the reporters is that they all want to be the next Woodward [and] Bernstein, because they're always looking for something to get somebody on," added Hyatt, who runs a business called Have Guns Will Travel, which puts on paintball games for groups around the country. Washington Post writers Bob Woodward and Carl Bernstein helped uncover the Watergate scandal that led to President Richard Nixon's resignation in 1974. "If you watch the White House press conferences, it's obvious, that's exactly what they're there for," he said. "They're not there to report anything good, or real news, they're just trying to get somebody to slip up and say the wrong word in the wrong context or something, and blow it out of proportion." Many Minnesotans, including some Democrats, told MPR News they feel like the press is out to get Trump who's attacked journalists as "dishonest" and "fake" and accused them of not reporting the facts. Some say the media isn't giving him a chance to succeed. And they say the press has been a lot tougher on him than President Obama. That belief has prompted Nadia Chong, a florist from Deerwood, Minn., about 20 miles east of Brainerd, to watch press conferences and speeches herself. "I livestream, a lot," she explained. "I don't want to hear what anybody thinks about what's being said because they're not experts, even though they act like they are. They don't know squat. They sit behind a desk, they do the same research we can do online." Bill Dian, retired from the forest products company Potlatch, and Doug Kern, a real estate agent who owns an appliance repair company, both said they trust Fox News, though they acknowledge it has a conservative bias. They said they like to balance that with CNN, which they said has a liberal bias. "I do that a lot, to see what's going on," said Dian. "Somewhere you find a happy medium, where maybe this is what really happened." National surveys have shown that Americans have slightly more trust in local media than national outlets. But these activists said they don't even trust their local paper, the Brainerd Dispatch. "They're putting Washington Post stuff in the paper all the time," complained Dian. 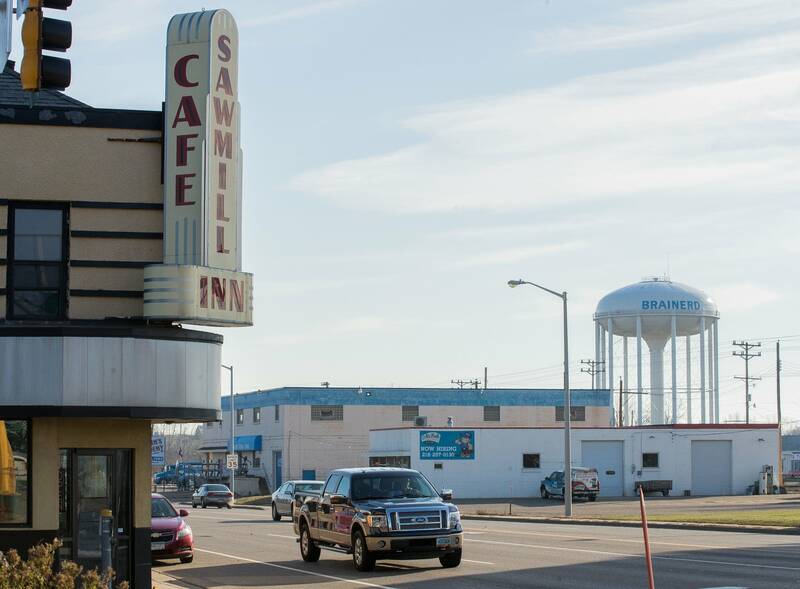 "I want to know what is going on in this town." "The only truth in that paper is the comics and the obituaries," said Hyatt. "The media could actually help a lot with this, if they held the school board, and city council, accountable," said Chong. Hyatt, though, doesn't believe that's even possible. "They're growing up in a public school, which is liberal," Hyatt said of reporters. "They go to their secondary school, which is even more liberal. Then they come out and work in an industry that itself is liberal. What else are they going to do?" That's the perception the media is up against, at least among a lot of Republicans. 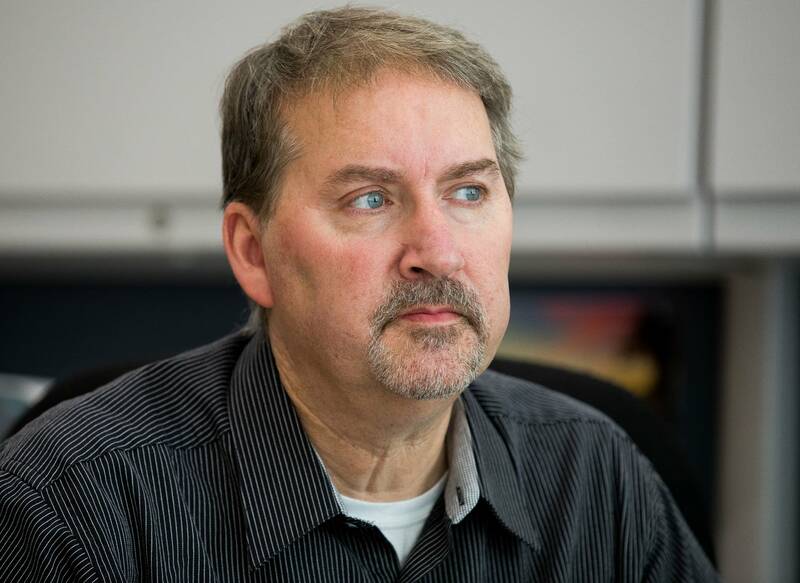 A half mile down the road, Pete Mohs, publisher of the Brainerd Dispatch, said his staff works hard to be fair. In a small town, where you run into your readers in the grocery store, he said you really don't have a choice. 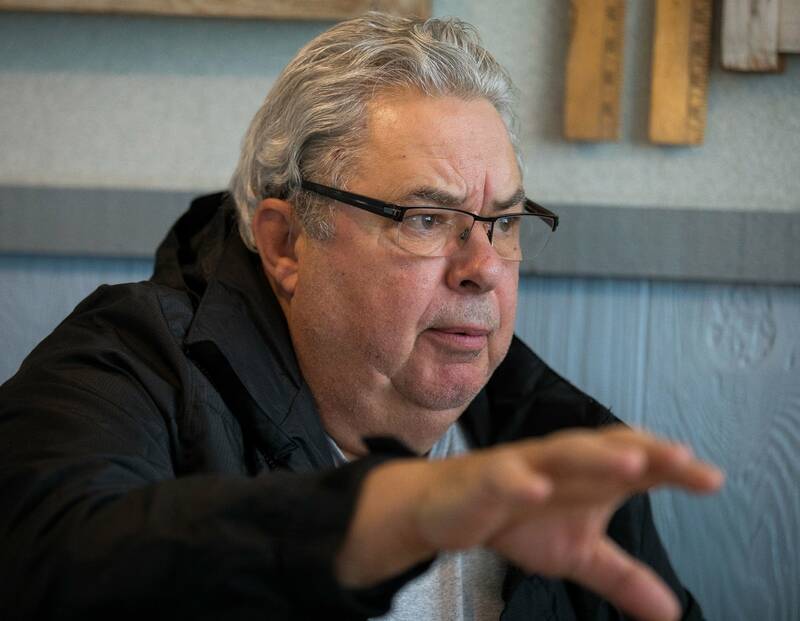 He offered an example of a proposed highway bypass around Pequot Lakes, Minn., a couple years ago, that really divided the community. "And we would measure pro and against to make sure we were fair on this, and make sure we had sources on each side," he said. "We watched our coverage to make sure it wouldn't be slanted to one side." Editor Matt Erickson said most complaints he gets aren't about local reporting, but over the op-ed pages, which feature columnists from the Washington Post and Chicago Tribune. "I think that's where the biggest complaint is," he said. "They might not like what they're reading on our opinion page. Well that turns out to be the whole paper then takes that hit." Last week the paper stopped running USA Today to create more space for local news. Some readers had also complained of liberal bias in the USA Today stories. Historically, Republicans have shown less trust in the news media. But the gap between how conservatives and liberals view the press has never been greater. The Pew Research Center, which has studied Americans' views of the media for decades, has asked the public about the media's job as a "watchdog" since the Reagan era. "Whether it's a valuable role for the news media to keep an eye on political leaders and criticize actions if necessary, because it keeps them in line, or is it not worthwhile because it gets in the way of doing their jobs," explained Amy Mitchell, Pew's journalism director. Last year an equal number of Republicans and Democrats, about 75 percent, supported that role. Since the election, that's shifted dramatically. "We have over history seen some political gaps, depending on the party in power," said Mitchell. "But we have now hit in 2017 a 47-percentage point gap between Democrats and Republicans in support for the watchdog role." The greatest gap previously identified was 28 percent during the George W. Bush presidency, Mitchell said. It's not only Republicans who've lost faith in the news media since the last election. Many Minnesotans told MPR News that the media, including MPR News, favored Hillary Clinton over Bernie Sanders. "I did not like the way the media seemed very biased toward Hillary and giving her a lot of coverage, and giving Bernie almost no coverage at all," said Kathy Gilchrist, who does internet marketing from her home in Pequot Lakes, north of Brainerd. 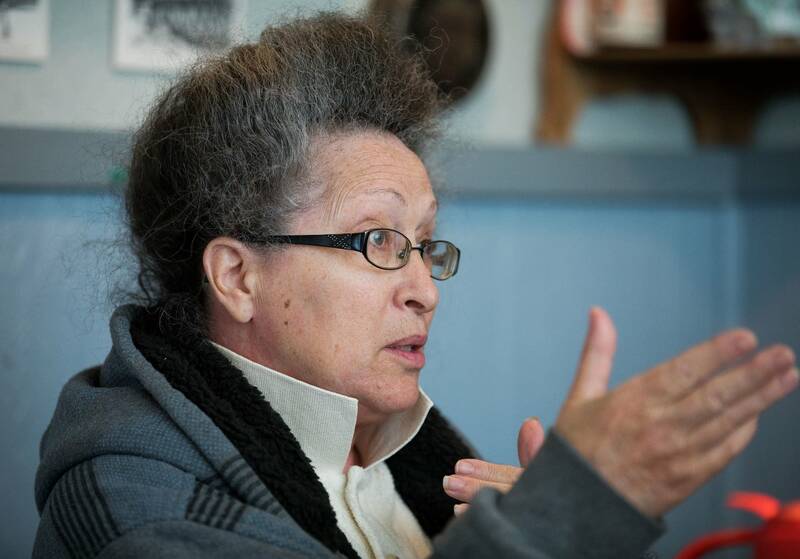 She said she used to get most of her news from CNN and other mainstream media but became disillusioned when she wasn't seeing stories about people or issues she cared about, like Sanders, or the Standing Rock oil pipeline protests. "I had not realized previously that they were not telling the whole story, how much they were editing it down to fit a narrative that they were trying to push, or protect either their corporate owners, or corporate advertisers," she said. "I hadn't realized that before probably about two years ago." Now, Gilchrist gets almost all her news from independent sources online, like The Young Turks, a nightly news show on YouTube that some have called a Breitbart of the left. Cindy Rugeley, a political science professor at the University of Minnesota Duluth, and a former newspaper reporter, said just because the public says they don't trust the media, doesn't mean they still don't rely on certain media outlets. "I think if you talk to them, they'll say, 'I don't like the media, but I do like this one!' It's like Congress, 'I don't like Congress, but I like my guy,'" Rugeley said. "I think you see the same thing when they're talking about the media. And it's not healthy." Pew Research has also found a growing polarization between where conservatives and liberals get their news. Immediately after the election, Mitchell said, a survey found 40 percent of Trump voters named Fox News as their primary source of election coverage. Democrats named a variety of sources, with CNN leading at 18 percent. That means many people, said Rugeley at the University of Minnesota Duluth, now never have to hear opinions they disagree with. "In a democracy that depends so much on deliberation and discussion and even compromise," she said, "when you have this, it raises the question are we hurting ourselves?" Craig Helmstetter, Andi Egbert and Kassira Absar of the APM Research Lab contributed to this report. The Ground Level project turned up a yawning divide in the attitudes Minnesotans hold toward immigrants and refugees. Correction (Nov. 14, 2017): A previous version of this story incorrectly reported the reason the Brainerd Dispatch decided to stop running USA Today content. The story has been updated.